Food drying is one way to preserve foods for later use. Moisture from food is removed to keep it from spoiling. These machines were designed to produce better quality dried foods. The mechanisms were developed to retain as much of the original flavor and color of the food as possible. Food dehydrators commonly have an electric heating element to dry out food. A fan and vents are in place to circulate the heat for uniform drying. Dried food shrink and become lighter. Good quality food dehydrators will allow more of the flavor and the color to be retained in the dried food. There are many affordable food dehydrators available. To get the most out if this purchase, it has to be used quite frequently. Its use can be optimized by people with farms or even backyard gardens that produce quite a lot during harvest time. Food dehydrators have adjustable airflow and temperature controls, which allows the user to fine-tune the level of drying conditions for higher quality results. 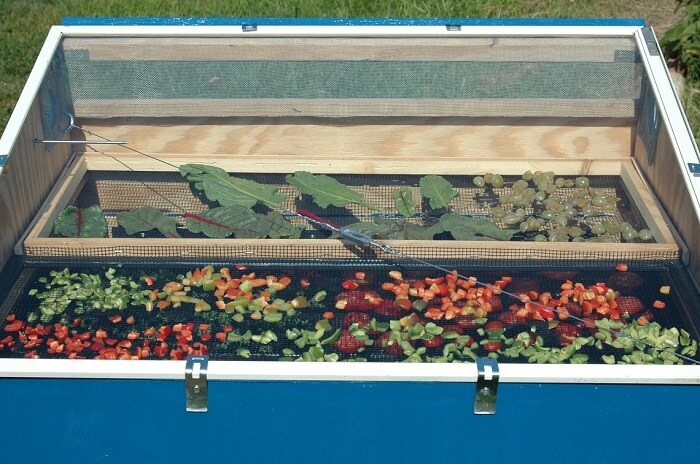 This also makes it possible to create the most ideal drying conditions for various types of food, from delicate leafy herbs to succulent fruits, starchy vegetables, and meats. For instance, meats require a small range of temperature for drying. It must have an internal temperature of 160 degrees Fahrenheit or 71 degrees Celsius to be safe for eating. If the required internal temperature is not achieved, the meat will most likely rot and harbor molds and bacteria. These will render the meat essentially a piece of poison. 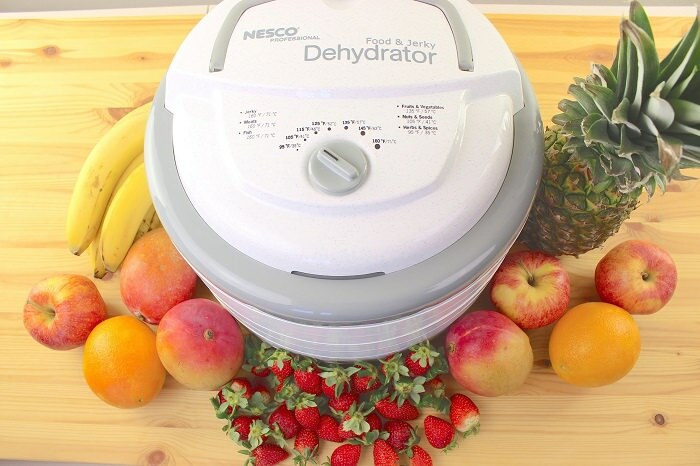 Getting that right temperature is easier with a dehydrator. This method also reduces the risk of heating food too much that it already cooks, worse, become burnt. 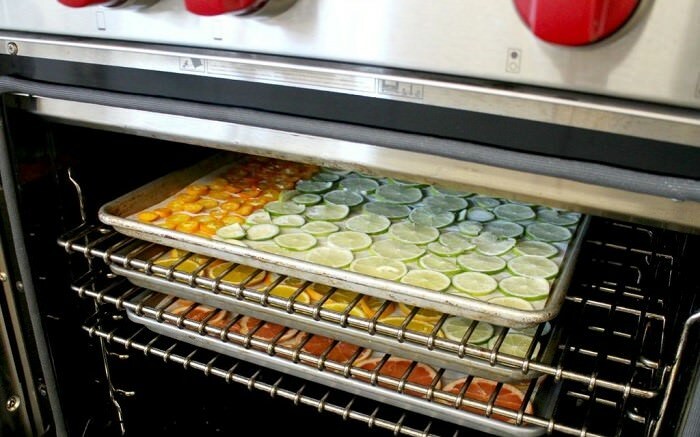 This is another convenient way to get better results when drying food. It takes around 5 to 6 hours, or even more, to dry food properly. Some food like meat and starchy foods may take longer. Food drying in the oven usually requires low heat; in fact, some soft foods may only require the heat from the gas pilot light to dry properly. Generally, oven temperatures should be low, if possible, at 140 degrees Fahrenheit. Higher than this and food will more likely cook instead of dry out. Keep the oven door slightly open while drying out food; a gap of 2 to 4 inches wide should be enough. This will allow air to circulate inside the oven. Air circulation is important for uniform drying. Placing a fan near the slightly open oven door can also help with air circulation. You can use any kind of oven. It will just require a few adjustments to get the right conditions for uniformly dried food. An electric oven is good but it will consume a lot of energy. Energy cost is about 9 to 12 times more expensive than canning food. The most economical to use for oven drying is a convection oven; or at the very least, the more modern models. Convection ovens have controllable temperature settings, with the lowest at 120 degrees Fahrenheit, which is more than enough for drying foods. This same oven can be used in many ways other than food drying making it even more economical and practical to have. A gas oven can also work but the challenge will be on keeping low temperatures for drying food. It runs the risk of cooking the food instead of drying it. To avoid this, prop the oven door during the entire process. Regularly check the oven temperature and fiddle to get the right settings. This is the oldest and most readily available food drying method. It’s free and does not use costly energy from gas or electricity. However, this is not always available. There are many areas where sunlight is limited. Some may have a good amount of sunlight hours, but the heat is not enough for proper drying of food. Also, it is not accurately predictable on how many days sunlight is available. Food typically needs around 3 to 4 days of drying. The heat of the sun cannot be controlled, obviously. It may not be emitting enough heat to dry food quickly. If food does not dry in time, the mold may grow, rendering the food unusable. Food may also start to spoil before it is adequately dried under the sun. For sun-drying to be effective, there should be long hours of direct sun exposure. A 95-degree Fahrenheit temperature is good for 3 to 5 days of food drying. The humidity should also be less than 20%. Otherwise, humidity and shorter periods of direct sun exposure may promote moldy growths. Some people just could not pass up the free energy from the sun for drying food. Why spend if there is something for free. To improve results and for greater consistency, people use solar dryers instead. These are easy to make at very low costs. Some of the simple designs use only cardboard boxes and plastic wrap. 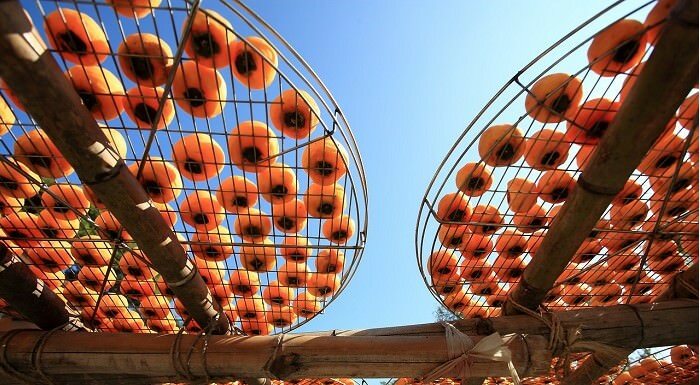 This is an indirect way of drying food using solar energy. Air heated by the sun is harnessed and used to run the solar dryer. Using a solar dryer or direct sun drying, there is still the challenge of getting the right temperature and humidity throughout the drying process. Even the best-laid plans can fail. Weather can be very unpredictable, after all. This is another old method of drying food. The food is hanged and allowed to dry indoors. Screened-in porches or rooms also work for air drying. As the name implies, there must be good air flow for food to dry properly. To protect food from dust and insects, the food is placed inside paper bags with holes on the sides for proper air circulation. This method is unlike sun drying. It does not depend on sunlight or enough heat from the sun. The only concern is humidity. The air should have low humidity. Otherwise, the moisture in the air will promote the growth of mold on food rather than helping it dry out faster. This is most probably the quickest way of food drying. Only a few short cycles can dry out food with color and flavor all intact. This works best with herbs and leafy vegetables. 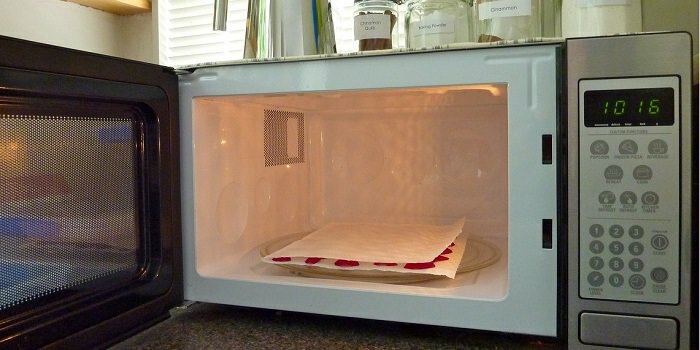 Other foods do not dry well using the microwave drying method. Most other foods will likely start to cook before it even starts to dry. 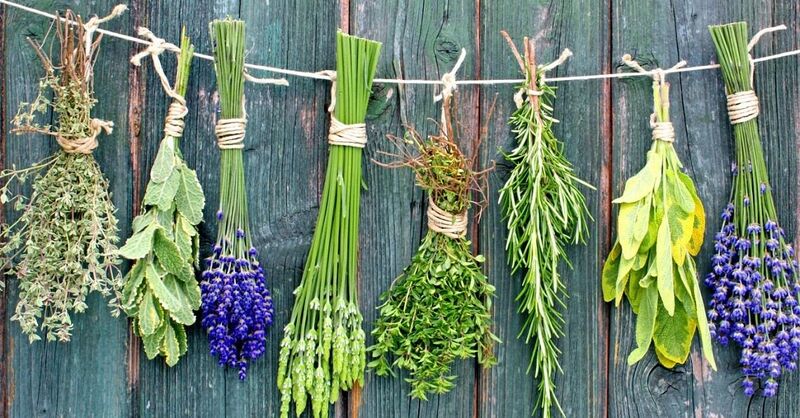 Take herbs for instance. Microwave drying results in dried herbs still looking the same as the ones on the plant. It does not get browned as it dries. Browning is an indication that the herbs are starting cook or even burnt. Hence, it’s a challenge to tell if the cycles are enough or more is needed. Food drying is a great and inexpensive way of preserving food. Whether it’s to keep food for later use or extend the availability of a harvest, or simply to keep food from spoiling, this method works great. The different food drying methods come with their own advantages and disadvantages. Ultimately, it comes down to personal preferences and frequency of use to get the optimal benefits without racking up the cost.